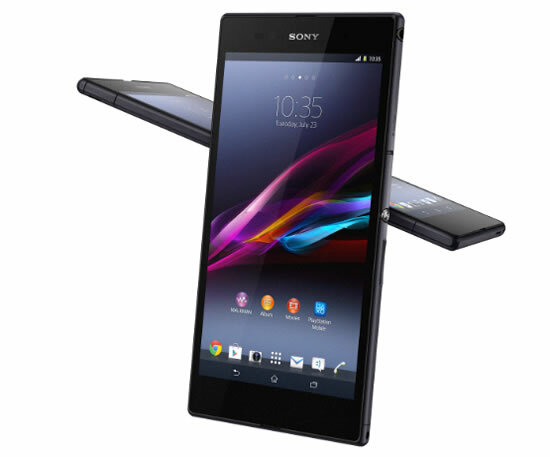 Sony Mobile today introduces the next revolution in premium large-screen Android smartphone entertainment. The new Xperia Z Ultra is waterproofultra-slim with a lightweight design so you can enjoy it anytime, anywhere. 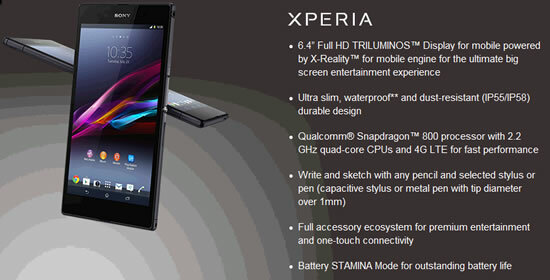 The new Xperia Z Ultra first smartphone ever to incorporate a Full HD TRILUMINOS Display for mobile powered by Sony’s latest X-Reality for mobile picture engine to deliver the most immersive viewing experience imaginable. Additionally, the Xperia Z Ultra features the fully integrated Qualcomm Snapdragon 800 processor with 2.2 GHz quad-core CPUs, 4GLTE and HD voice to provide a seamless connected entertainment experience, industry-leading battery performance and amazing speed. 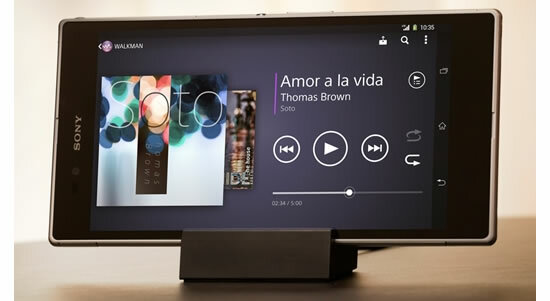 Xperia Z Ultra features a 6.4” touchscreen Full HD display with Sony’s unique TRILUMINOS Display for mobile, creating a wider palette of rich natural colours thanks to Sony’s Bravia TV expertise. The large Full HD display has been optimised to experience at least 60% more of the screen than most other smartphones. With an impressive rating of IP55 and IP58, this smartphone isn’t only resistant to dust, but is waterproof too – giving you the freedom to enjoy it anywhere. You can even film in Full HD underwater, taking your large-screen smartphone experience to a new level. The camera features Exmor RS for mobile, HDR for both photos and film, and Superior Auto mode automatically activates HDR and noise reduction when needed, so you’ll get stunning imagery even in challenging light conditions. 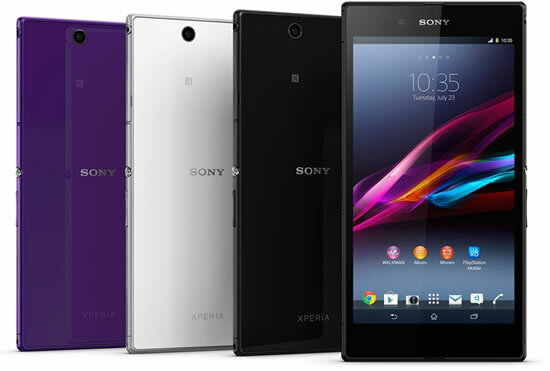 The Xperia Z Ultra will launch globally from Q3 2013 (exact timing of availability will vary by market).